An exciting group show featuring twelve contemporary artists will be an inauguration of Galerie Lisa Kandlhofer opening in Vienna. 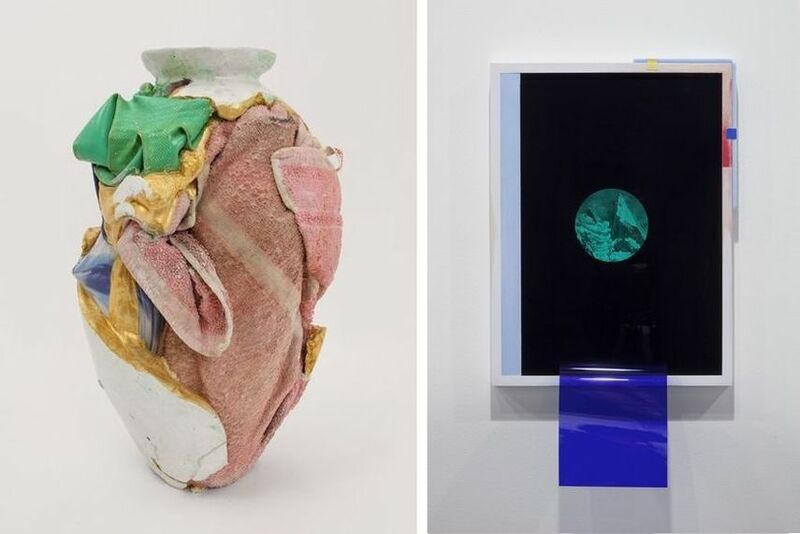 Entitled If Walls Are Trembling, the show will present works by Athanasios Argianas, Alex Hoda, Alina Kunitsyna, James English Leary, Lindsay Lawson, Grear Patterson, Hannah Perry, Andres Ramirez Gaviria, Patric Sandri, Marco Stanke, Pier Stockholm and Martin Vitaliti. Painting has been declared dead many times before and its principle of static shapes and flat stretcher frames has been continuously undermined or proclaimed archaic. The proposition of the fixed wall position is what distinguishes a painting from and object, and this important aspect will be explored in this show. Work of these twelve artists demises existing boundaries of sculpture pedestals, canvasses and stretcher frames, manipulating the traditional relationship between the artistic object and its display. 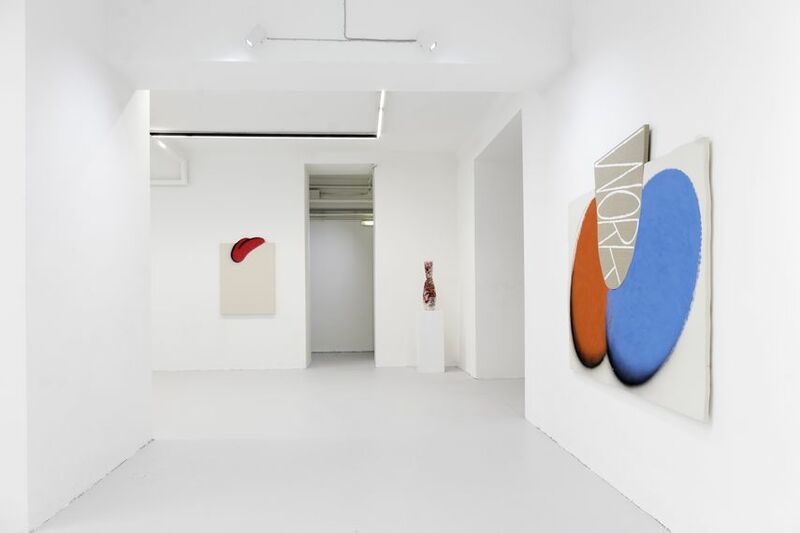 The practice of artists exhibited is very diverse, but they all reinterpret existent boundaries of traditional painting. Some of these artists choose to challenge the traditional format of painting. 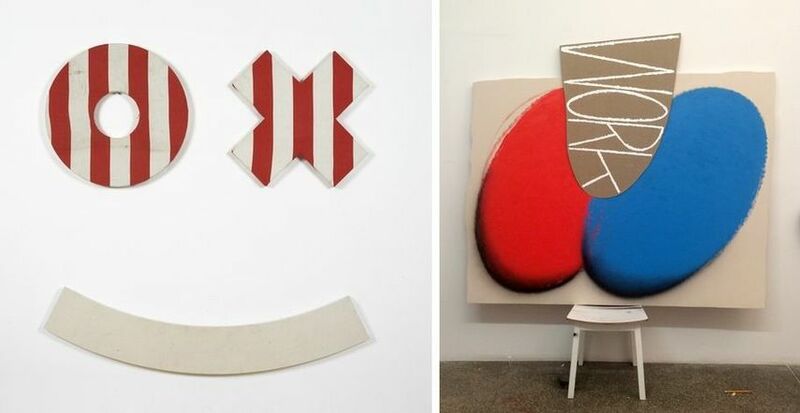 Both breaking the tradition of the rectangle and turning the stretcher frames and canvasses into figurative wall objects, the artist James English Leary revisits the cartoon aesthetics, while Grear Patterson plays with popular digital emoticons. 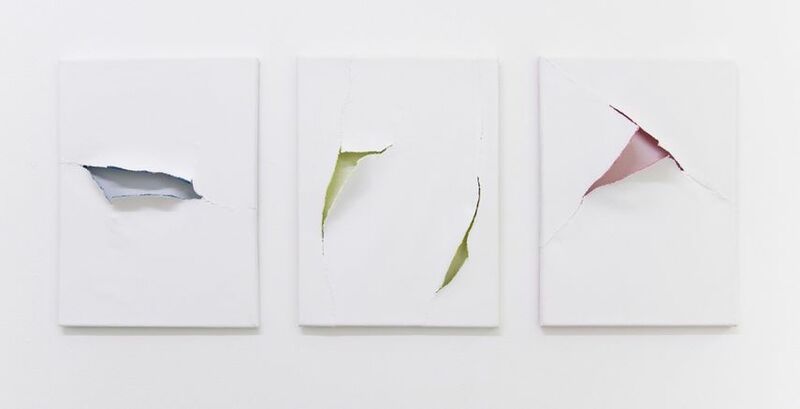 While abstract pieces by Marco Stanke are imbued with geometric vocabulary acting as objects rather than paintings, Patric Sandri plays with the surface of the painting turning a tear in them into a motive. 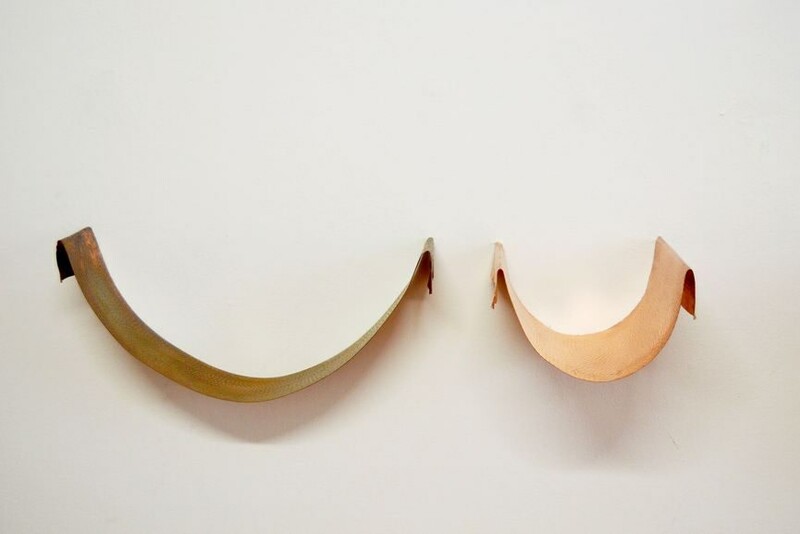 Questioning the purpose of the wall as a basis, some of these artists assign sculptural qualities to canvases and stretcher frames. Minimalist drawings and photographs by Pier Stockholm combine different furniture, architecture, and design elements. The American artist Lindsey Lawson mixes both everyday and peculiar substances such as sweaters, balloons, bags of chips or coconuts with pigments, molding them into solid sculptures presented on pedestals. Using an enlarged 3D print of a chewed nicotine gum carved in marble, Hostage Sculptures of Alex Hoda question the value of artistic objects and their presentation. While artist Andrés Ramírez Gaviria uses “modal patterns” of everyday objects by visualizing coded data of syntactic components as flashing sequences, pieces by Athanasios Argianas are created through abstract translation, focusing more on the poetic expression rather than factual transparency. Exploring the possibilities of the escape from the picture frame, ink drawings by Alina Kunitsyna emerge from the picture like solid objects and superhero figures by Martin Vitaliti pierce through the frame. Finally, multimedia installations by Hannah Perry cross various boundaries bringing a cold and confident sexuality into the exhibition space. 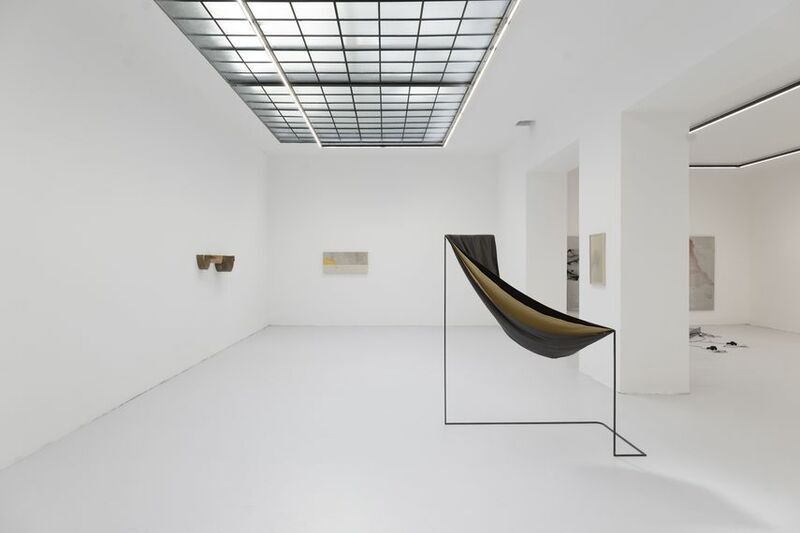 After three years of working at the premises in the Brucknerstraße 8 in Vienna, Lisabird Contemporary has moved to the new venue located in Brucknerstraße 4. 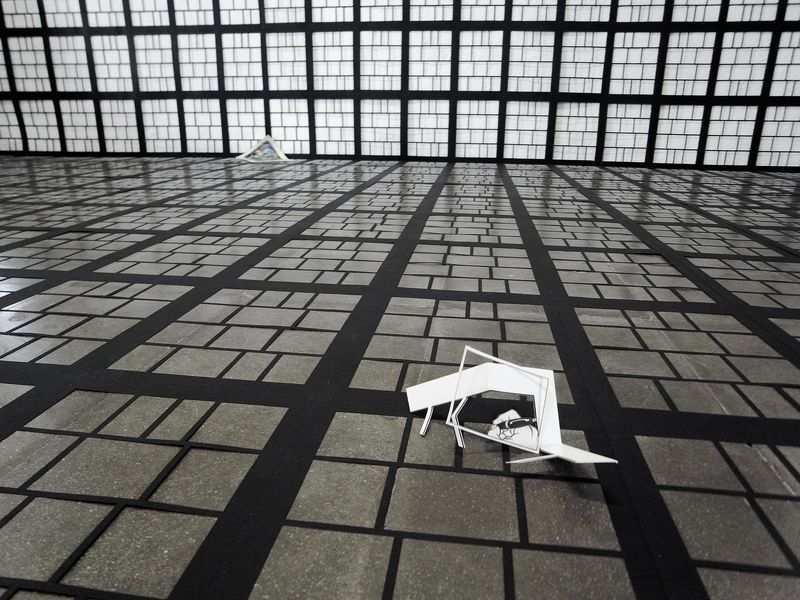 The gallery will continue its activities as Galerie Lisa Kandlhofer. The show If Walls Are Tremblingwill be on view at Galerie Lisa Kandlhofer from September 23rd until October 20th, 2016. The preview of the show will be organized on Thursday, September 22nd, from 8.30pm. 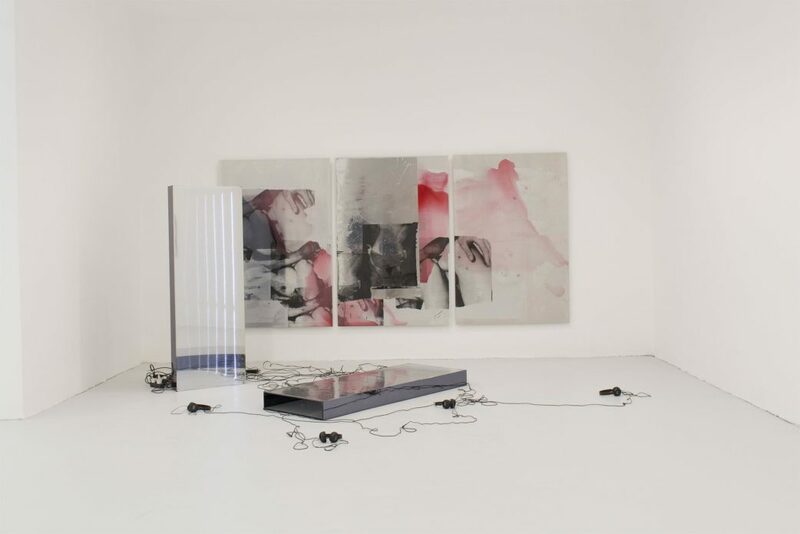 Featured images: Hannah Perry – Untitled (sound works), 2016; Marco Stanke – Tontrager, 2016; Lindsay Lawson – Das Ding 4; Andres Ramirez Gaviria – Between Forms of Representation and Interpretation; Athanasios Argianas – Relative Ratios, 2014 (detail); Athanasios Argianas – Relative Ratios, 2014. All images courtesy of Galerie Lisa Kandlhofer.